Description: The annual meeting of the Society includes reports to the membership, business and election of officers. Everyone is welcome! Description: Come find out more about the 19th century Sutherland-Wilson farm house. These docent-led tours are free and open to the public. Description: Please join us at this annual family event that celebrates the history of our community! Put on by Pittsfield Township and the Society, there will be historic displays, a petting farm, entertainment, hay rides, games, and tours of the historic buildings. Don't miss the bake sale fund-raiser to benefit the Pittsfield Township Historical Society. Description: Come find out more about the 19th century Sutherland-Wilson farm house. These docent-led tours are free and open to the public. We will especially welcome members of the Daughters of the American Revolution to view our commemorative bricks honoring Revolutionary War soldiers who lived or died in Pittsfield Township. Description: Quarterly board meeting of the Society. Everyone welcome! Description: Third Sunday house tours return! Come find out more about the 19th century Sutherland-Wilson farm house. These docent-led tours are free and open to the public. Description: To get the Farm ready for summer events, please help us on clean up morning. We'll be cleaning the house, raking the yard, sweeping the barn and planting flowers. If you can help, please join us! Description: Come learn more about old photographs from historians and antique dealers Bill and Glenna Jo Christen. They'll explain the different types of photographs of the 19th and early 20th centuries and how you can recognize the varieties. Bring old family photos, especially ones you need help dating! (Please bring the original and, if possible, a scan on a flash drive.) This event is free and open to the public. Description: All members are encouraged to attend the meeting to hear officer and committee reports and help make plans for the coming year. There will be a presentation by PTHS Vice President Al Paas, Populating Pittsfield: What brought folks to our community. The meeting is open to the public. Description: Free docent-led tours of the 1850s Sutherland-Wilson farm house. This will be the last open house of the year. Description: Mark your calendars for this fun, family-friendly annual event! 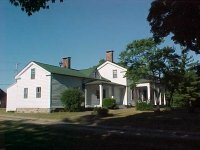 Description: The farmhouse at the Sutherland-Wilson Farm will now be open for docent-led tours on the 3rd Sunday of the month May-October. The house has been restored to the 1850s-1900s era. The tours are free and open to the public. While only the house will be open, a hand-out will be available directing people around the grounds and out-buildings for self-guided tours. Description: All members are invited to attend the quarterly meetings. This is one week earlier than usual due to travel schedules. Description: Spend part of Father's Day on the Farm! 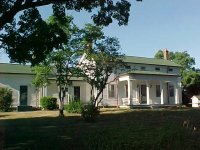 The farmhouse at the Sutherland-Wilson Farm will be open that day for docent-led tours. The house has been restored to the 1850s-1900s era. The tours are free and open to the public. While only the house will be open, a hand-out will be available directing people around the grounds and out-buildings for self-guided tours. Description: All members are invited to attend the quarterly meetings. Description: All members are invited to attend our quarterly board meetings. 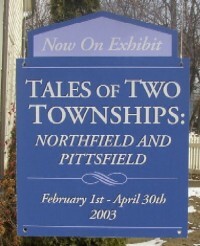 Description: Come see a program about the first survey of Pittsfield Township in 1815. Surveyor reenactment members will be there with old equipment and stories about the life of a surveyor 200 years ago. Everyone is welcome and there is no charge to attend. Following the program, the Pittsfield Township Historical Society will hold its annual business meeting and elect officers for the 2015-17 term. Everyone is welcome to participate. 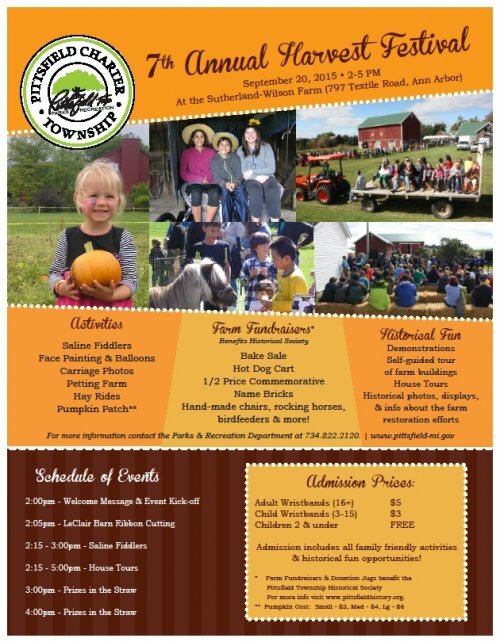 Description: Don't miss this wonderful family event-- petting farm, games, food, music, hay rides, crafts, tours of the house and more! Description: Quarterly board meeting. Everyone is welcome! Description: Save the date for this fun, family event! There will be farm animals, craft demonstrations, hayrides, entertainment, old-fashioned games, tours of the historic farm house, and more. Description: Come help us spruce up the farm! We will be sweeping the barn, tidying up the yard, and cleaning the house. Stop by as your schedule allows--we really appreciate any help you can give. Description: Virginia Watson, a local weaver, will talk about narural fibers in historical textiles. Description: Join us for a talk by Virginia Watson, a local weaver and historian. The four basic fibers used in textile production throughout history will be displayed, with samples for participants to examine and handle. Brief demonstrations of fiber preparation will be presented with comments on recent manufacturing influences. Free and open to the public. Description: A family event with petting farm, food, music, historical displays, corn shelling and grinding and picking pumpkins from the garden. Description: Ron Koenig, Conservator, will talk about restoration work he has performed on the Detroit Athletic Club, UM's Cook Law School Library, Cranbrook Auditorium, Hack House, Albert Kahn Log Cabin plus many other projects. Description: Dan Cooperrider, Director of Pittsfield Parks & Recreation, will give an interactive presentation on the history of the Parks & Recreation Department Where we Started and Where we have Been. Public encouraged to attend. Door prizes & fun! Description: A family event held at historic Sutherland-Wilson Farm Museum. Saline Fiddlers Restrung will perform between 2-3:00. Harvesting pumpkins from the garden at 4:30. Contributions and donations will be greatly appreciated, and will be used for continuing restoration of historic Sutherland-Wilson Farm Museum. Directions: Sutherland-Wilson Farm Museum is west of State Street, on the south side of the road. Description: Susan Nenadic, lecture concerning women who participated in the Civil War. Description: James Mann, author, historian, and story teller. Description: This is a family event for everyone to enjoy. Baked Goods, Hay Ride, Old time lawn games, cider and donuts, pick pumpkins, harvest corn stalks, tour of the house. Directions: East of State Street at the corner of Textile and State. Description: John S. Russell will speak on the Geological History of the Pittsfield area and make some comments about the botany that developed from the time glaciers retreated and settlers arrived. John is on the Washtenaw County Natural Areas Technical Advisory Committee. He is a retired instructor from Pioneer High School where he taught Ecology, AP Biology, AC Physical Science, Photography, Earth Science and Biology. Description: Hannah Geddes Wright will speak to the group about the Town Hall Schoolhouse that was built on her family farm in Pittsfield Township. She will speak about her book "Down the Myrtle Path" and about attending a one room school. Directions: The Town Hall Schoolhouse in on the campus of Eastern Michigan University, Ypsilanti, Michigan. Description: Bring your family and enjoy making your own cider. Bring a container for your cider. You can select your apples and help put them thru the cider press and watch the cider pour into you jug. Apples, baked goods, and popcorn will be available for purchase. Pittsfield Historical Society will have craft items for sale under their tent. Description: Several veterans will attend and speak about their war experiences. Description: This event celebrates the restoration of the Sutherland Wilson Barn. Please join us and enjoy the many activities and exhibits that are planned. There will be archive exhibits, farm machinery, and children's activities. Harry Macomber will be there to sign copies of his book "How the Bee Got Inside My Bib Overalls and Other Farm Stories from the 1940s and 1950s". Directions: 797 West Textile is just West of the intersection of Textile and South State Street. From Ann Arbor: Take State Street south, at Textile turn right. From Saline: Take Michigan Avenue east to Maple Road, turn left, turn right at Textile. From Ypsilanti: Take Michigan Avenue west to Old South State Road and turn right, turn left at Textile Road. Location: Senior/Community Center 701 W. Ellsworth Rd. Description: Would Scarlet O'Hara really have worn her curtains? Queen Victoria and Amelia Bloomer - what do we have to thank them for? What happened to make 1851 and 1859 landmark years in the clothing industry? 1850-1900 we will take a look at what happened in society and technological development to influence fashion and clothing. Helen Welford has a background in arts and a love of 19th-20th century ballroom dancing that has set her on the path to reporduce her own vintage ballgowns. Description: Susan Nenadic will share with us some of the research she has done on the working women in Washtenaw County from 1824 to 1914 including the obvious: teachers, milliners, laundresses and moving forward to the changes in education that led to law, medicine, dentistry, offices, retail, newspapers and politics. Location: Senior/ Community Center 701 W. Ellsworth Rd. Description: Nancy Krohn from the Genealogical Society of Washtenaw County will share information about the GSWC Library and family history center located at the Saline LDS Church. Description: We will have a tour of the museum and discussion about how Canton has protected their heritage as they moved from rural to urban. Directions: Take I94 east to Belleville Rd. North on Belleville Rd which changes to Canton Center after it crosses US12. The museum is a brick one room school on the left side of the road at the corner of Canton Center and Heritage. Park behind the school. Description: Jo Ann Marshall from Trilliam Landscape Design, LLC will explain what types of plantlife would have been growing on the grounds of the farm during the 1850-1900 era. Description: Cost $4 per adult. If you go to the Ella Sharp website you might be able to print a coupon good for one free adult admission with a paid admission, if it has been updated from 2005. Besides the house there are other buildings, a one room school, exhibition of carriages, woodworking shop, printers office, Dr.s Office, general store. We need to be there before 2:00 for the tour. For car pooling meet at the township community center at 1:00. Directions: Exit #138 off I94 and follow the green trailblazer signs to the museum. Description: This event has been cancelled due to not finding an available authority on quilts. about the history of Pittsfield's Department of Public Safety. Help the Pittsfield Township Historical Society and Commission pay lasting tribute to individuals � those currently living here, those who lived here in the past, and those who have their roots here � and organizations and businesses that are or have been part of our heritage. Location: Pittsfield Community Center, 701 W. Ellsworth Rd. Can you envision this? It is mid 1830's. You are settling in this new township called Pitt. 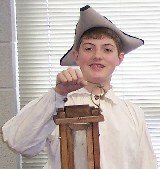 Join us for Hugh & Nancy Davidson's costumed presentation on the day to day activities of the normal everyday life of early Pittsfield Township residents. What did they wear? What did they eat? How did they survive in this wilderness. Hugh will have his Brown Bess Musket and tomahawk to show. Description: Letitia Byrd will present the history of the David Byrd Center and the historical home in which it is located. 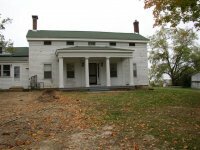 The home is a Greek revival landmark in Pittsfield Township. A restoration expert, Mr. Byrd was a charter member of the faculty at Washtenaw Community College and a renowned entrepreneur. Directions: On Lohr Rd near I-94. Description: Society members are invited to celebrate the holidays and the accomplishments of a very busy year. During the year, work commenced on restoration of Sutherland-Wilson barn. The Society received a grant from the state of Michigan to assist with this project. Much work also was accomplished on Sutherland-Wilson house. Description: Join us for an evening of good fellowship to begin the holiday season. Potluck supper; ham provided. Bring the family. (Parents with young children should bring a present for Santa's helpers to present.) Gift grab bag: to join in, bring a $5.00 wrapped gift. 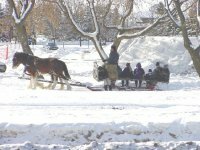 Photos and aretifacts from previous winters are on display. These include ice skates from about 1900, which were donated to the Society by local resident, Harold Sole. The display also includes Doug Woolley's old ice-fishing sled (which transported supplies and doubled as a bench) -- and many other items. Description: Come share experiences of Ernestine Wilson Meenan who grew up at the Sutherland Wilson Farm. This meeting will be held sometime the week of October 9th. As soon as we have a date we will email those for whom we have email addresses. Description: Press cider, help make apple sauce and apple butter, taste a variety of different apples. Fun for the whole family. Participants can bring apples and jugs to press their own cider; a local farmer will be selling apples suitable for cider. Apple baked goods will be available for purchase. Historic Sutherland-Wilson Farm was in the same family from 1832-2000 - nearly 170 years. In 2000, it was acquired by Pittsfield Township to become a heritage farm museum. Now leased to the Pittsfield Township Historical Society, it is undergoing extensive restoration. Description: Pittsfield Grange members have invited Pittsfielf Township Historical Society members to join them at their regular June meeting. A potluck dinner will start at 6:30, followed by a program. The program will consist of brief presentations by the two groups and discussion among their respective members. Description: Join us for a field trip to the Cobblestone Farm Museum. We will meet at the Cobblestone Farm at 2:00 for the tour of their museum. At one time, Cobblestone Farm was in Pittsfield Township. Description: An EMU historic preservation class, under instructor Ilene Tyler, will present their findings from a semester-long evaluation of Sutherland-Wilson House. Description: Marnie Paulus will discuss the reasons to apply for historic district declaration and what is involved. Description: Did you ever wonder what farm life was like in the 1800's on the Sutherland-Wilson Farm, or on farms and in communities generally? Ed Hoffman will give us an interactive slide and talk presentation. Ed is president of Art Assist Lectures which he started in 1991 to help patients, families and others dealing with serious illnesses. He then moved on to present his program to a wide variety of venues: retirement communities, law firms, chambers of commerce and so forth. His background is in the museum world, art auctions, writing, and teaching at the academic level. 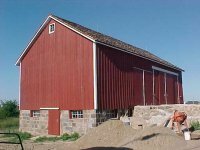 Description: H. A. Hinz will share his expertise on restoring old barns. Description: James Aldrich is a former township trustee and long-time resident of Pittsfield Township. Description: World-renoun authority, Daniel Fisher, will present an overview of Paleo Indian culture and the role mastadons played in it. While the evidence in this presentation is derived from many sources, Fisher's insights relate to the life experience of both hunter and prey in what today is Pittsfield Township. Description: Members of the Pittsfield Township Historical Society will visit the Plymouth Historical Museum at 155 S. Main St., Plymouth, for a tour of its facilities and collections, including their Lincoln Room and displays of Civil War era fashions. If you need a ride, call Betty at 971-2384 or Marcia at 429-4517. We plan to leave Ann Arbor around l:30 p.m. and return around 4 - 4:30 p.m. Description: Flintknapping expert, Bob Love, will domonstrate the tools used by native peoples to knap stone weapons and tools. This process is called "flintknapping" because the flint-stone is frequently used to make arrowheads and other weapons and tools. However, other stone can be knapped -- stone such as chirt and obsidian. Bob will emphasize flint and chirt, but we hope to have some obsidian also available for him to work. This will be a TWO-HOUR program. Children will enjoy seeing how stone tools are made, but may not be able to sit for the full two hours. Feel free to bring children for shorter periods, and then leave early if necessary to enjoy playground equipment, etc. Location: We will meet at Taylor's Heritage Park. Details and directions will be posted soon. Description: Tickets are $10 each, $8 if purchased in advance, $15 family. This will be an open-house tour of participating museums in Washtenaw County. Watch for additional information in "The Ann Arbor News" and flyers available at various merchants. Additional details also will be posted here. Description: Pat Majher will tell us some of the history of the Hack House and how the Milan Historical Society was able to turn it into a museum. We will meet at the Hack House. Description: Herman Koenn will share the history of Pittsfield Grange, and Granges in general. The Grange held a very important role in the life of the farmer for many years. Description: April Beisaw will speak about using archaeology as a framework for bringing together historical and genealogical sources to produce a more complete and engaging snapshot of the past. Description: Carol Mull will present a slide show on Pittsfield's role in the Underground Railroad Movement. This exhibit is located at the Washtenaw County Historical Museum. Docents from both Northfield and Pittsfield townships will be present. For further information, please contact Pauline Walter, president of the Washtenaw County Historical Society, at: 734-662-9092. Description: Emily Salvette will conduct an oral history interview of Walt Gutekunst and Carl Thayer, both long time residents of Pittsfield Township and early members of the volunteer fire department. Description: All Society members and guests are welcome. Note: This event was postponed due to the death of Edward Wall's mother, and subsequently was held at the home of Don and Bettly LeClair. Description: After the farm visit, we will tour the Depot. Description: April Beisaw -- a professional archaeologist who specializes in rural school history -- will systematically investigate the site of Old Town Hall School. She will search for artifacts that will reveal details about the school's past. All volunteers are welcome. Bring gloves, trowles, knee-pads, and dress for protection from sun and other elements. If possible, please contact us in advance to let us know of your interest in working on the dig. Work will begin each morning at 9 am. For background information, please see the history of Town Hall School on our website. We will be working on the site of the Second Town Hall School, which served the community from 1852-1895. Description: Emily Salvette will conduct an oral history interview with Doug Woolley and Jack Morris, both former supervisors of the township. Both also served for many years on the Pittsfield Township Planning Commission. During their tenure as supervisors, the township evolved from a rural community into the dynamic and "busy" environment of today. Description: The Pittsfield Township Historical Society will take a field trip to Webster Township Historical Village. We will meet there at 2:00 pm. Directions: I94 to Zeeb Rd. exit. North on Zeeb to Joy Rd. Turn Right on Joy Rd. Go about 1 mile to Webster Church Road and turn left. 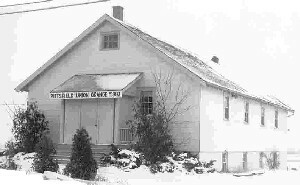 Go about 1 mile and you will see Old Webster Church and across the road is their community hall. Next to the church is the village. Description: Emily Salvette will conduct an oral history interview with Mary Cruse. Mary was born in Ann Arbor but moved to Pittsfield Township when she was two years old and has lived here since. She was a co-owner of the East Ann Arbor Hardware for 25 years. She attended Platt school and had Mary D. Mitchell for her teacher for three years. She still attends "Breakfast Club" meetings once a month with a group that used to go tobogganing down Klager's Hill in the 30's usually ending up in Mallett Creek. Description: Author Maxine Henderson will give a presentation on bread baking in the 1800s, complete with the smell of fresh baked bread and samples.